I took The Boy on a surprise birthday holiday to Cape Town in November 2011 – yes I’m only just writing about it now but I dream of 2inn1 on a regular basis. I stumbled across the hotel on Tripadvisor and was so impressed with the reviews that I booked it immediately even though it was out of my price range – I was lucky enough to be offered the last luxury room. (And once there I could see that the demand for rooms was not exaggerated). The staff made some recommendations and organised a taxi to pick us up from the airport. When we arrived we were greeted at the door by Klaus who took our bags and showed us around. We met and were introduced to the other members of the team later – around 16 of them – all extremely friendly and helpful. They helped me to organise surprise excursions in advance (like Table Mountain & Robben Island tickets and Cage Shark Diving), recommended excellent restaurants – which included Steffi getting us into the fully booked and much sought after Test Kitchen which I had tried to book previously with no success – Omg it was ridiculously good and Carne – meat heaven. They also sorted out our car rental and made sure we were happy with everything, and I mean everything. On the morning of The Boys birthday, the staff brought a bottle champagne and a little cake with a candle to our breakfast table and sang happy birthday, it was so sweet and The Boy turned all shades of red. 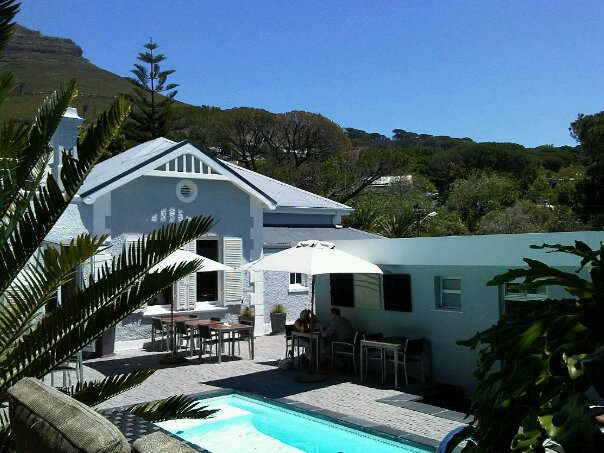 The guest house is in a beautiful area – Oranjezicht, with an awesome view of Table mountain in the background. The rooms and grounds were meticulous at all times. We took advantage of the complimentary drinks by the jacuzzi and the hot stone massage was just what we needed after our long flight. The breakfast was soooo good and we often ate so much that we could not manage lunch (especially if you want to wear a bikini by the pool!). Many of the people staying there had been to Cape Town before and were not new to the 2inn1, it was obvious why they kept returning. We were welcomed like family and left knowing that we could return at any time. Which we did in 2012. 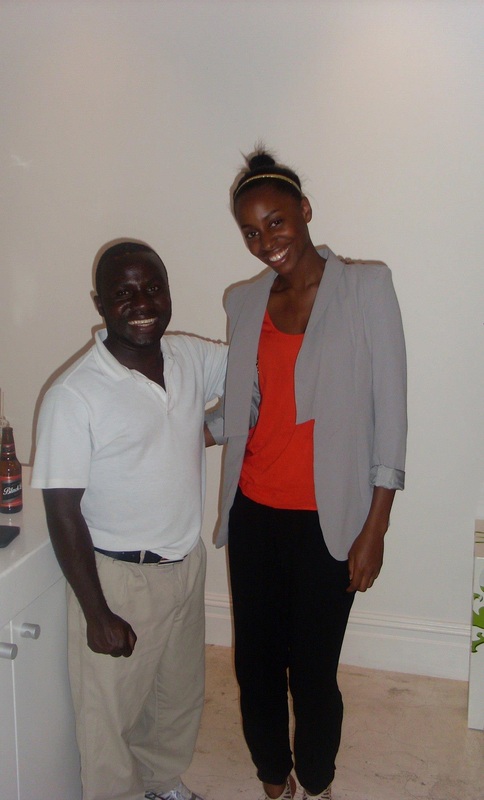 I was working in Cape Town and dropped Klaus a line, he invited us back. We went for breakfast and were welcomed with open arms. The staff go out of their way to make sure you have an amazing time, I’ve never come across anything like it, our experience was so important to them. We could not have had a better holiday and I can not recommend the 2inn1 enough. It was our best getaway ever and so hard to return home. This entry was posted in Travels and tagged 2inn1 Kensington, best holiday ever, Cape Town Hotels, Cape Town Must, Cape Town travel, customer service, south africa, Top Cape Town Hotel. Bookmark the permalink.